Whether on campus, in Helena, across the state or across the globe, the Carroll community gets involved. Why? Our motivation comes from a desire to help the less fortunate, stressing the value of fellowship and the pursuit of living lives of meaning. This is a place where the spirit is nurtured and each person's spiritual growth is fostered by our larger community and what we seek to accomplish together. This is a community of respect and values, and on-campus or off, we work together to enhance the lives of others and ourselves. The Headlights program, run through Campus Ministry, organizes alternative spring break trips during which students can donate their time and energies to provide service in underserved communities. One group of Carroll students on a Headlights trip recently visited Rochester, New York, helping the Sisters of Saint Joseph in their work to provide medical attention and other assistance to the poor. Other Headlights trips brought Carroll students to East Los Angeles to work with former gang members, and to the Cincinnati area (Southern Ohio/Northern Kentucky) to assist in soup kitchens, daycare facilities, and refurbishing homes. Read more about faith opportunities at Carroll. The Hunthausen Center provides service-learning and community service resources for the students, faculty, and staff of Carroll College. It organizes community-wide efforts to serve the Helena community and beyone. The Carroll Chapter of Engineers Without Borders-USA partners with developing communities to improve their quality of life through implementation of environmentally and economically sustainable engineering projects. Recently, Carroll EWB-USA has established strong relationships with an orphanage in Mexico and schools in Guatemala. The Carroll Outreach Team brings together students, faculty, alumni, and other friends of Carroll College to provide direct service and aid to people in need, at home and around the world. Up 'til Dawn unites students, staff, and their local communities with a goal to help the children of St. Jude Children's Research Hospital. At the core of the Carroll community is the free exchange of ideas and beliefs, and students find an atmosphere to express their thoughts freely. All opinions are welcomed and rousing discussions are common occurrences on campus, as people of sometimes opposing views sit down together to explore their differences respectfully. Cory Crouser (Class of '15) from Troutdale, OR had one of the better summers on record. Combining international travel, adventure and community service, Crouser spent six weeks in Nepal. 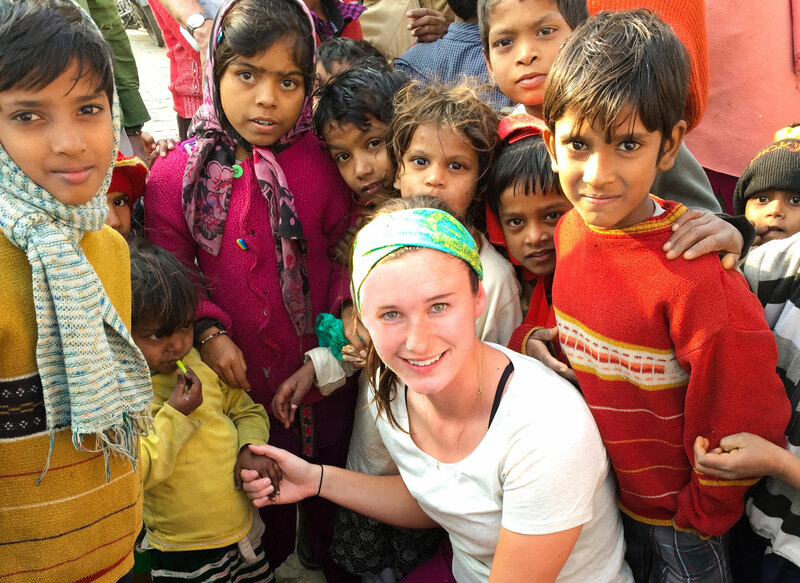 Crouser traveled with an organization called GapForce, which specializes in uniting students with international adventure and humanitarian work. GapForce has programs all over the world and Crouser chose a trip to Nepal which included language classes, visits to a jungle reserve, time spent with children in a Kathmandu orphanage and a hike to the base camp of Mount Everest. In a profile in the Portland Tribune, Crouser said witnessing extreme poverty and experiencing a dramatically different culture from his own was life changing. He will take back the lessons he learned that summer during his final year at Carroll College.